SaveOnEnergy.com® has never been bashful about promoting renewable and green energy and sustainability. We’ve also never been bashful about reaching out to children to give them a good start at thinking sustainably. We’ve found a kindred soul in Design Squad Global, a PBS KIDS show and website. The Emmy-winning website is crammed full of hands-on engineering activities, design challenges, streaming videos of science and engineering concepts and interactive online games designed to boost kids’ understanding of engineering. DSG builds a connection between kids and engineering – not a common connection but one that many parents can appreciate. It does through videos, guides, actives and after-school kids clubs. To date, more than 500 clubs have been launched in over 40 countries. Club participants, ages 10 through 13, explore engineering and invention through projects that are enjoyable, high-energy and hands-on. What kind of activities? How about designing and building a wind power station or emergency shelter? Teamwork is another vital part of the equation – and not just any teamwork. Clubs partner with similar groups from other countries and, in addition to working on the project at hand, learn about one another’s cultures, communities and lives. A kids’ guide to recycling. A crossword puzzle about energy choice. Now what does Design Squad Global have to do with energy? We’re glad you asked. SaveOnEnergy.com is all about deregulated energy, and one overlooked part of deregulation is that it has promoted use of green energy. Look no further than Texas, which leads the nation in production and use of wind energy. The latest venture from DSG encourages kids to think about how engineering can impact environmental sustainability. 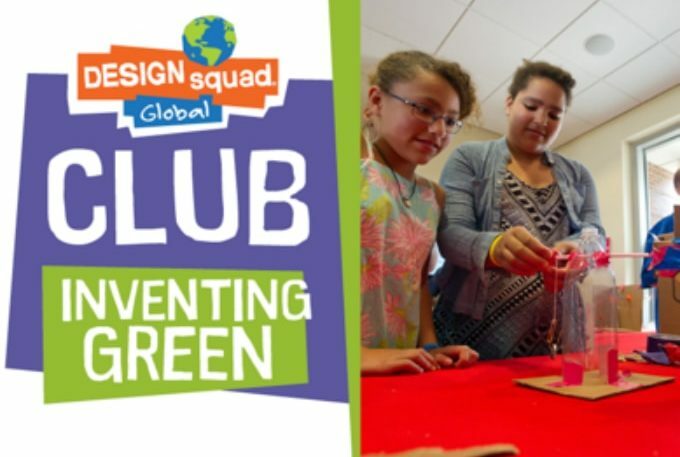 Inventing Green, a new club guide, encourages participants to consider engineering solutions to environmental issues; the guide also creates a sustainability mindset for creating inventions. Designing Sneakers using earth-friendly materials. Building Wind Power Stations that harness wind to do useful work. Creating Light Pipes to illuminate rooms without electricity. For more information on Design Squad Global, visit www.pbskids.org/designsquad.